With the onslaught of video games, after school activities, homework, and handheld devices constantly beckoning our kids, it's not hard to imagine why reading for fun often takes a backseat. 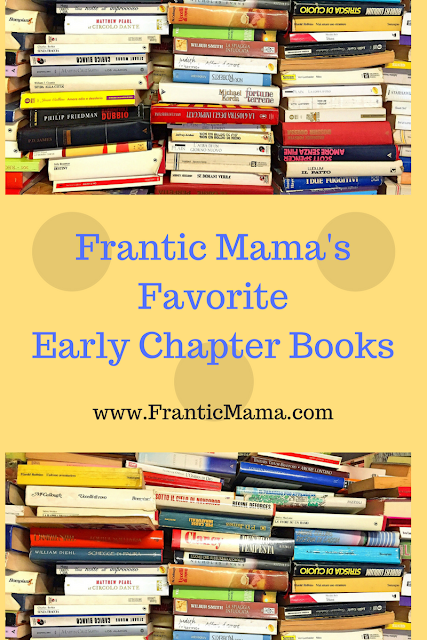 My son, now 7, picked up reading at an early age, and I was thrilled to share my passion for the written word with him. However, his interest in reading waned as his world expanded to school, sports, friends, and of course, screens. I eagerly brought home handfuls of books from the library, hoping to introduce him to the perfect series-- the one that would not only grab his attention, but keep it and encourage a lifelong love of reading. For over ten years, I've taught a wide variety of students, including those with significant dyslexia and ADHD, how to read and how to comprehend, and yet I couldn't inspire my own child! Thankfully, after lots of trial and countless errors, we found four age-appropriate chapter book series that he really, truly enjoys, and that as a reading teacher, I think are fantastic for elementary students who know how to read but don't necessarily like doing so. The Data Set by Ada Hopper. One requirement I have for an engrossing early chapter book is that it includes plenty of pictures. Because while our kids will insist they “aren't babies anymore,” I find over and over again that pictures engage kids and help them comprehend what they read, which is the goal of reading once you know how to read. The Data Set series is about a group of whiz kids-- boys and girls-- who are interested in science and experiments. The vocabulary is what I would deem 'just right;' Hopper carefully introduces and reviews new words, but most of the words are familiar. The characters are diverse, and one even introduces basic Spanish to readers through conversations with his mother. The characters engage in easy-to-follow dialogue, and the storyline is entertaining, fresh, and quick-moving. This is truly a perfect series. Dragon Masters by Tracy West. 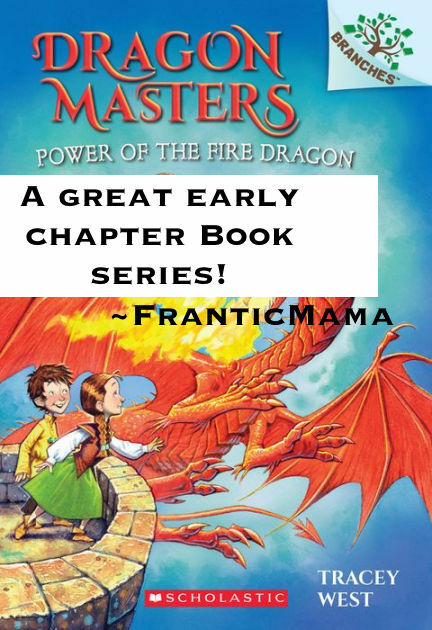 Dragons are all the rage these days (if you hadn't noticed), and I happened on this enchanting series while randomly skimming the library shelves. It's another one about a group of boys and girls who go on adventures, but this series takes place in a fantasy world with kings, queens, and pet dragons. There's a wizard (of course) who guides the new “dragon masters,” and it contains charming illustrations on almost every page. The plot is easy to understand, the story moves quickly, and the vocabulary is just right. Perfection! The Magic School Bus (by a variety of authors). The Magic School Bus franchise has been around forever, but I'm specifically talking about the early chapter books. In the chapter book series, a classroom of elementary school students goes on adventures all over the world with their wacky teacher, “The Frizz,” and learn about anything from volcanoes to dinosaurs to the human body. The pictures are comprehensive and keep readers engaged and understanding the plot. New concepts are cleverly defined and reviewed throughout the book. This is a great series for curious readers who love learning as much as possible about whatever their current fixation may be. 4. According to Humphrey by Betty G. Birney. My son mentioned his teacher was reading a Humphrey book to his second grade class. I hadn't heard of it, but since he said he liked it, I made a beeline to the library and checked out a few. The Humphrey series is about a cute class hamster named Humphrey who makes smart observations in the classroom and takes turns visiting different students' houses. The reader hears the story from hamster's perspective-- Humphrey is the narrator-- which is amusing to young readers. Again, there are plenty of pictures to break up the text and aid in comprehension. Literacy experts stress the importance of reading comprehension as kids grow because generally in third grade, the focus at school transitions from learning to read to reading to learn. What the experts don't always address is how to help children enjoy reading to reduce battles at home and to avoid making reading feel like a chore. These four series hit the mark in our house, and I hope they help others in the same situation. What early book series do you love (besides Harry Potter)? What ones have been a hit with your students and/or kids?